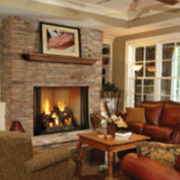 Rettinger Fireplace is the #1 resource for outdoor fireplaces and outdoor fire pits in South Jersey . 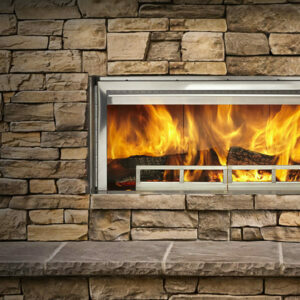 Whether you’re looking for a basic outdoor wood fireplace, or a custom gas fire pit, Rettinger Fireplace will guide you through the selection process to make sure you arrive at the product best suited for your lifestyle. 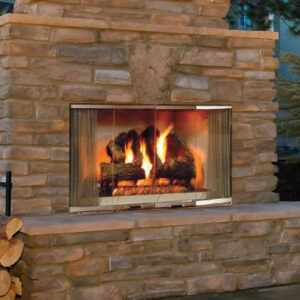 Outdoor Gas Fireplaces are a great feature to add to any backyard or patio. Create an elegant, warm gathering place for your family and friends in the open air and privacy of your backyard. 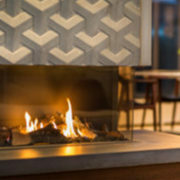 Between built-in fireplaces and freestanding gas outdoor features, there’s no outdoor gathering space that would not benefit from the ambiance and attraction of a gas burning fireplace. 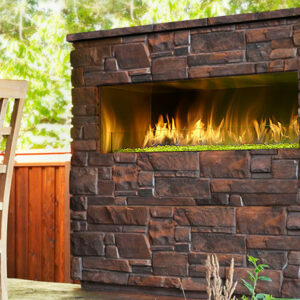 Outdoor Wood Fireplaces: There’s nothing like the real thing. 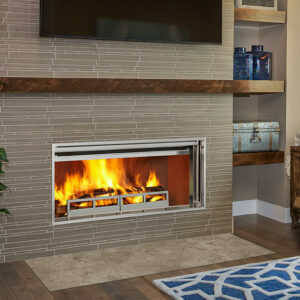 Create long lasting family memories with an outdoor wood fireplace and teach your children the proper way to build a wood fire without the mess of hauling wood into your living room. 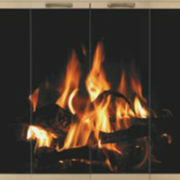 Roast marshmallows, cozy up and enjoy the magnificent heat experienced by an outdoor roaring wood fire. 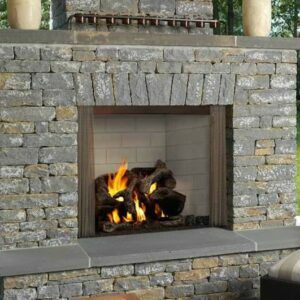 Gas Firepit Tables are a fast-growing desire in Camden County, South Jersey, and the Jersey Shore because they are perfect for any application, and there’s no need to run a gas line. With a regular propane grill tank, you can transform your outdoor sitting area into an all-season chill zone. Limited assembly required, so come in and see our showroom floor displays, and you might just walk out the door with a brand new fire pit table. Light up the gas firepit table, and your family and friends will naturally find their way to gather around and enjoy each other’s company by the cozy flame. 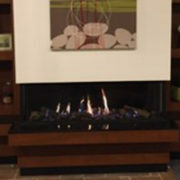 With Custom Gas Firepits, your options are endless! 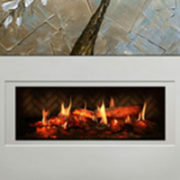 Just see for yourself what Rettinger Fireplace and our custom fire pit manufacturers can do for your outdoor project. If you can imagine it, we can make it a reality. There’s something to be said about gathering around a roaring outdoor fire! 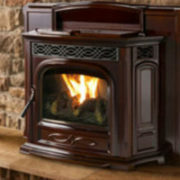 An outdoor fire pit or fireplace does more than just look good and provide warmth. It can be a great way to keep guests entertained, extend a party outdoors AND extend the life of your outdoor space well into the cooler months while turning your backyard into an elegant oasis! 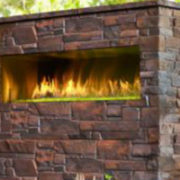 We offer a wide variety of manufacturers of outdoor fireplaces, fire pits and fire tables with comfortable seating and will work directly with your landscape architect to help design your project. Whether you desire to increase the value of your home, or want to enjoy a more relaxed evening inside or outside of your home with loved ones and friends one chilly evening, we can inspire you to create an outdoor living space that is beautiful, inviting and comfortable including complete outdoor kitchens and islands. Will have this link to our gallery in the future.